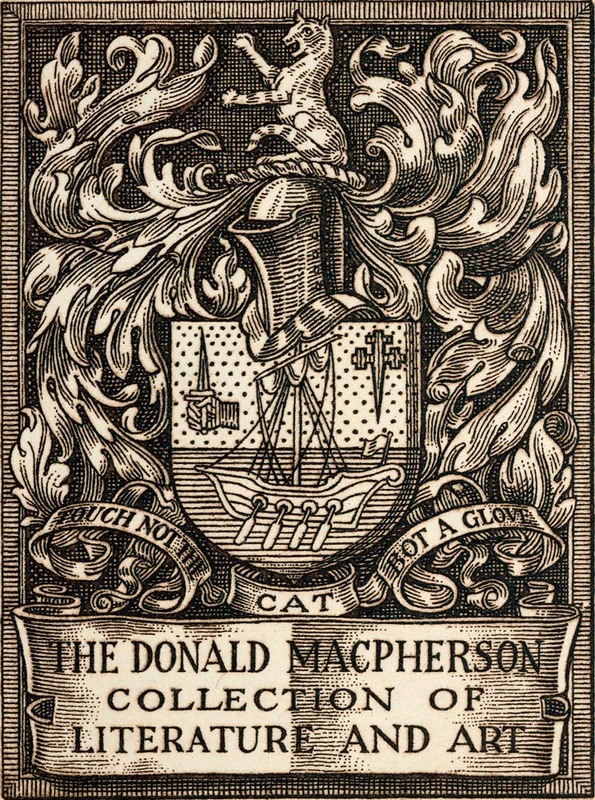 The Library’s Donald MacPherson collection contains some unique and fascinating books of literature and fine art. In 1838 a schoolmaster named Donald MacPherson migrated to Australia from Aviemore, Scotland. MacPherson made his fortune in the colony and in 1970 his granddaughters, Margaret and Elizabeth MacPherson left a bequest to the State Library of New South Wales. The bequest included a small collection of books and additional funds to be invested and used to 'purchase books of pure literature and fine art -- that is to say, books of literature and about literature and fine arts'. Over 4000 items have been added to the Donald MacPherson collection of Art and Literature since the Library received the funds in 1970. The collection includes rare or special editions of literary works, artists’ books, and books about the history of printing, book design and illustration. The MacPherson collection has a number of first editions including works by Giovanni Boccaccio, Charles Dickens, William Makepeace Thackeray, T. S. Eliot, Samuel Beckett, Sylvia Plath and Allen Ginsberg. The collection also includes a number of Private Press publications including examples from the Kelmscott, Gregynog, Doves and Nonesuch Press. You can find more information on what is in the Donald McPherson collection through our catalogue.